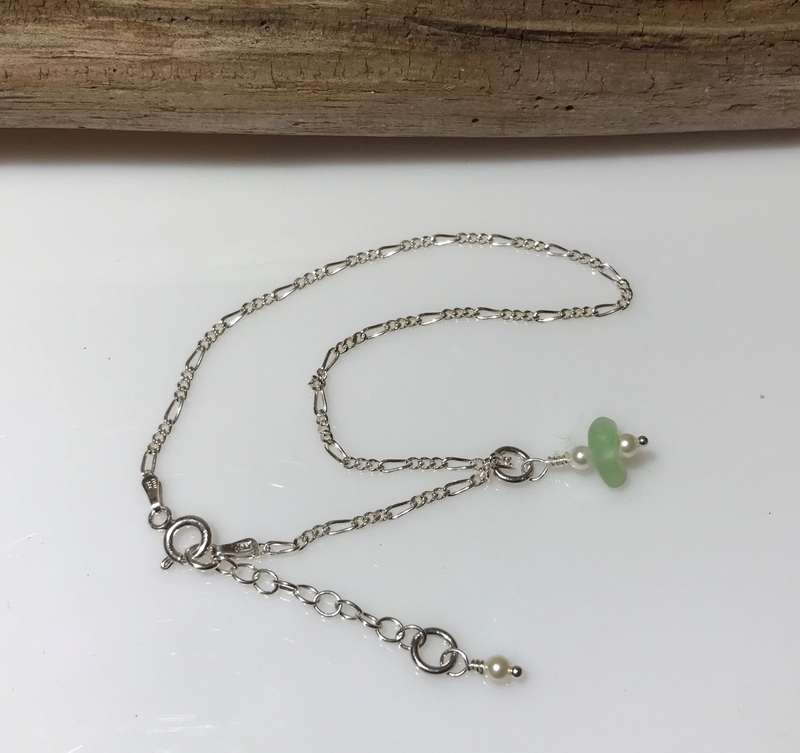 SA#4 Light green sea glass anklet, sterling silver cable chain with sterling silver and Swarovski pearls. One size fits all. Length 10" with extension.